It goes without saying that the sound of pop music in the first half of the 1990s was heterogeneous, more so than we might remember or appreciate in retrospect. Eurodance, U-rated rap, revived oldies, suvivors from the 1970s, novelty records, coffee-table soul, NME favourites, metal veterans, US indie icons, 1980s holdovers and what was not yet called adult alternative – if you look at the list of number-one singles and albums in the UK for 1990 and 1991, you’ll see all these things and more. But few sounds are as redolent for me of the early 1990s as that of Trevor Horn producing Seal. It’s not just that Seal was a big commercial presence back then (first two albums both hitting number one and spinning off seven hit singles between them), but that Horn’s sounds were always imitated by other producers. The rhythm tracks he crafted for Seal’s second album (1994) were still being knocked off a few years later by records that purported to be “trip-hop”, and I can’t help feeling 1991’s Crazy was a huge record for Wiliam Orbit*. All of which is to say that this music sounds, and feels, very much of its era when I hear it now. Horn was a sensible guy to go to if you wanted the George Michael money, the singer-songwriter-for-adult-professionals money. Michael was in the process of abdicating his throne at the time, and he made his respect for the young pretender explicit by covering Killer at Wembley Arena as part of the Freddie Mercury tribute concert (released on the Five Live EP – the five in question being the remaining members of Queen, plus Michael and Lisa Stansfield). Horn’s work with Seal – which speaks loudly of “quality” and of the expenses that haven’t been spared – was precision tooled for Michael’s audience. But when you listen to the music Seal put out between 1990 and 1995, it’s striking that the two best songs – the unimpeachable Adamski version of Killer and the deathless Kiss from the Rose – are either not produced by Horn or don’t sound anything like Horn. Sure, Crazy is a fine record (if overplayed in its time), but perhaps Horn did Seal more artistic harm than good (limiting him to the same relatively narrow sonic palette, or at least facilitating Seal in his more conservative instincts), however successful the pair were together. Seal II does contain a couple of stylistic curveballs – the medieval-modal balladry of Kiss from a Rose, the Joni Mitchell duet If I Could and Fast Changes, which makes it clear exactly how big a Joni fan Seal is (with its woodwinds and strummed chords it’s a dead ringer for her For the Roses-era material) – but taken as a whole, the album is deadening. It’s expensive-sounding and glossy, but involving melodies are in short supply, and Horn can’t consistently pull out of Seal the level of which he was evidently capable. Prayer for the Dying, the lead single, is a notable exception to all this and an unqualified success. If any of his tracks deserve a revival, it’s this one. It’s not just that it’s an excellent song, sung with passion, but it’s the track on which Horn’s production and arrangemental approaches work best with the material. On top of one of those beats that place the record immediately in the mid-1990s, Horn fills up the track with delayed guitar noodles, little snatches of percussion and unobtrusive synths. It’s far from minimlist, but nothing’s allowed to step on the vocalist’s turf. On rediscovering the track five or so years ago (I remembered it once I’d heard it, but it had been 15 years), I was at first put off by the chorus, which seemed woolly and vague, a list of warmed-over cliches. Crossing bridges. Lessons learned. Playing with fire… We’ve heard all these before. ** I was probably just having a grumpy day. Mixing an inscrutable, personal verse lyric with a more universal chorus is one of the perennial techniques of modern pop songwriting, as is adopting a cliche to subvert it or twist it. Nowadays, I think the reason the song works so well is the contrast between verse and chorus, in which I hear a shift of narrative perspective (with the first verse sung from the point of view of the dying person and the chorus from that of the younger person trying to get their head around it). 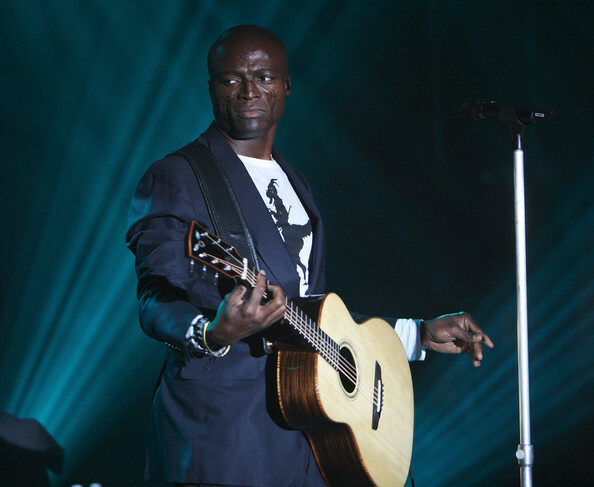 Seal, as is common among, songwriters, has refused to be pinned down on what precisely it all means***, and listeners will hear it their own way, which is as it should be. In the UK at least, Seal’s music, other than Killer, Crazy and Kiss from a Rose, seems to have faded out of cultural consciousness, while the man himself makes covers albums and a set of original songs produced by (the horror) David Foster. Seal? The singer? Was married to Heidi Klum? Oh yeah, him. Prayer for the Dying stands as a reminder of what the man could do back in his garlanded youth. *In a neat historical curlicue, in 1991 Orbit remixed Seal’s re-recorded version of Killer. It’s pretty feeble (some of the house piano Orbit inserted clashes horribly with the vocal melody), and sounds nothing like the readily identifiable Orbit style of half a decade later. **I’m in no position to point the finger when I have written a song called Lessons Learned. Recent music by the author. Downloadable on the pay-what-you-want model. Click on the logo on the right-hand side of the player to go to Bandcamp. This entry was posted in Music and tagged acoustic guitar, Adamski, arrangement, chart history, coffee-table soul, covers albums, Crazy, David Foster, Fast Changes, Five Live, For the Roses, Freddie Mercury, George Michael, Heidi Klum, If I Could, Joni Mitchell, Killer, Kiss from a Rose, Lisa Stansfield, lyrics, Prayer for the Dying, production, programmed beats, Queen, recording, Seal, Seal II, Sound recording and reproduction, trip-hop, Wembley Arena, William Orbit, woodwinds on March 14, 2015 by rossjpalmer.